← Gibson Brands Takes Control of Onkyo Corp.
Crestron announced today that it is dramatically deepening its partnership with Sonos that was first revealed at last Fall’s CEDIA show. 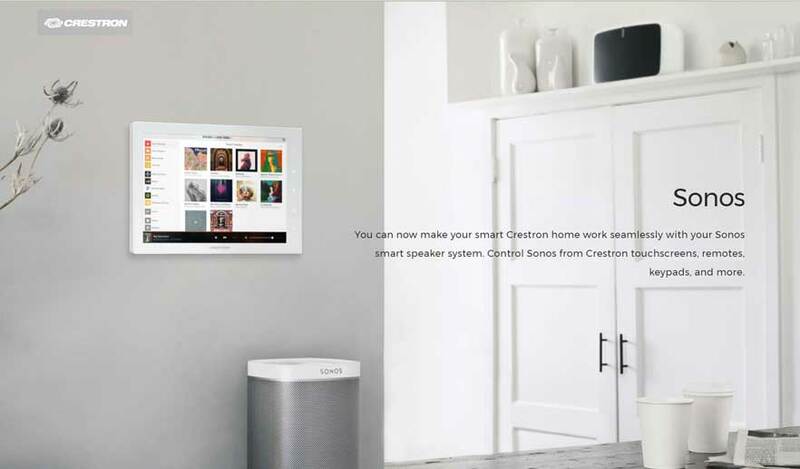 That partnership, which Strata-gee was the first to break the story on ahead of the 2016 CEDIA show, is now growing even stronger as Crestron is making the full line of Sonos products available directly to Crestron Technology Professionals through their normal purchasing system. Crestron dealers can add as much Sonos product to their Crestron orders as they’d like…starting today. When we first reported on Crestron partnering with Sonos as an integration partner at the 2016 CEDIA show, the two seemed like an odd combination given their dramatically different market positions. After all, Crestron is positioned as the leading-edge, high-performance luxury electronics automation brand for predominantly high-end system installations. On the other hand, Sonos is the wireless multi-room music system brand of the masses – easy to install and use (via an app) for just about anyone, including the technically unsophisticated Joe lunchbox crowd. But the fact is, Sonos has become an incredibly popular brand with consumers, forcing the custom integration industry to face this reality. Early in Sonos’ existence, many integrators refused to carry the brand, both fearful of their easy, DIY installation ability…and angry at the extremely low realizable margins the brand offered integrators. But integrators posture vis-à-vis the brand has changed as more and more of their customers began asking for Sonos products to be included in their systems. At the 2016 CEDIA show, Crestron was unabashedly enthusiastic about the partnership – choosing not only to include Sonos on their systems, but to embrace it. Crestron was the only one of all of the major Sonos integration partners that included the ability for the full Sonos app to be displayed and operated on their touchscreens. The other Sonos integration partners, like Savant and Control4, used the Sonos API – application programming interface – to integrate Sonos functionality into their products. But Sonos’ API only includes a few basic features, whereas the Sonos app includes their full functionality. This gives a clear edge to Crestron’s integration – an edge that integrators told us was a meaningful advantage. So now the full Crestron automation environment lets users not only control their lights, shades, thermostats, theater systems, and security – but also provides for full Sonos control such as Sonos favorites, play/pause the music, adjust the volume, view now-playing information with artwork, and add or remove zones as they move about the home. All Sonos products are now available for order by Crestron authorized integrators along with their normal Crestron orders. This includes not only Sonos products like the Play:1/3/5 models, but also the Playbar and PlayBase models as well. 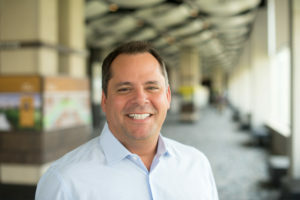 For Crestron, adding Sonos allows them to fill out the last open technology slot in the lineup – a music streaming source. 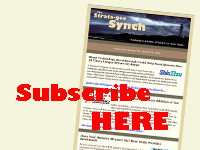 In a phone interview with Strata-gee, Clancy was very excited. Learn more about Crestron at: www.crestron.com. See the Sonos line of products at: www.sonos.com.